Stroke-induced immunodepression is a major risk factor for severe infectious complications in the immediate post-stroke period. We investigated the predictive value of heart rate variability (HRV) to identify patients at risk of post-stroke infection, systemic inflammatory response syndrome, or severe sepsis during the post-acute interval from days 3 to 5 after stroke onset. 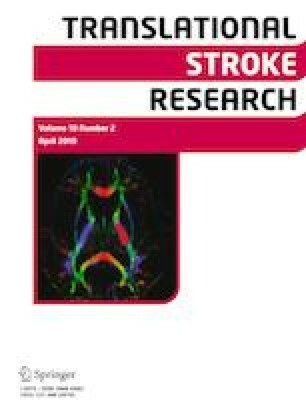 A prospective, observational monocentric cohort study was conducted in a university hospital stroke unit of patients with ischemic infarction in the territory of the middle cerebral artery without an ongoing infection at admission. Standard HRV indices were processed from Holter ECG. Recording started within the first day after the onset of stroke. Infection (primary endpoint: pneumonia, urinary tract, unknown localization) was assessed between days 3 and 5. The predictive value of HRV adjusted for clinical data was analyzed by logistic regression models and area under the receiver operating characteristic curve (AUC). From 287 eligible patients, data of 89 patients without event before completion of 24-h Holter ECG were appropriate for prediction of infection (34 events). HRV was significantly associated with incident infection even after adjusting for clinical covariates. Very low frequency (VLF) band power adjusted for both, the National Institutes of Health Stroke Scale (NIHSS) at admission and diabetes predicted infection with AUC = 0.80 (cross-validation AUC = 0.74). A model with clinical data (diabetes, NIHSS at admission, involvement of the insular cortex) performed similarly well (AUC = 0.78, cross-validation AUC = 0.71). Very low frequency HRV, an index of integrative autonomic-humoral control, predicts the development of infectious complications in the immediate post-stroke period. However, the additional predictive value of VLF band power over clinical risk factors such as stroke severity and insular involvement was marginal. The continuous HRV monitoring starting immediately after admission might probably increase the predictive performance of VLF band power. That needs to be clarified in further investigations. Dirk Brämer, Heike Hoyer and Dirk Hoyer contributed equally to this work. The study was registered under the acronym PRED-SEP (German Clinical Trials Register DRKS00003392). We thank Cornelia Eichhorn of the Center for Clinical Studies, Jena University Hospital, for the data management and Nasim Kroegel for carefully editing the manuscript. The work was funded by the Federal Ministry of Education and Research (BMBF), Germany (FKZ: 01EO1002). The study protocol was approved by the local ethic committee of the Jena University Hospital and registered at the German Clinical Trial Register DRKS00003392. Each patient gave written informed consent.